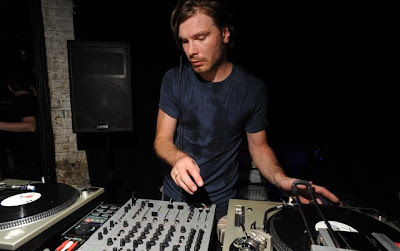 Marcel Dettmann is neither new nor old news...he's just news. In the past few years it has been rare for a techno mix to pass us by without some kind of Dettmann (or Klock) installation. His name adds instant value to flyers, posters and events thanks to the manner in which he generates moods and connections that transcends age and class, bourgeoisie techno if you will. 2010 may well be remembered as the year of Dettmann thanks to the release of his eponymous LP, a complete techno album, easier said than done. Since then we've seen a slew of remixes for the likes of Traversable Wormhole and Glimpse, each better than the next. Whether Dettmann is pouring Detroit’s oil into European engines, slaving British dub to Chicago’s very own Jack or wavering through hypnotic minimalism, it's safe to say that Dettmann's lustrous aesthetic, oblique rhythms and coherent diversity unite us all on a dancefloor somewhere. TEA caught up with Marcel prior to his Australian visit to talk new MDR, sneaking into Tresor at 14 and how original Japanese Green tea helps rest the body and ears after 11 hours at Berghain. From early August to early October you will have visited 9 countries, including America, Japan, China and Australia. Do you have different ways of approaching countries in terms of music and your DJ sets? I always put my sets together in a very individual way depending on my personal mood because every night is different. So I'm not thinking about nationalities nor how a track could work in a specific club - for me it's every time a 100% personal Marcel Dettmann set. You will be visiting Australia for the first time where you will be playing some special 4 hour sets. You’ve spoken fondly of extended DJ sets, what’s your ideal length? To be honest this myth of the story that I always love to play long sets comes from the fact that I play these extended sets at berghain once a month, like last weekend where I played for 11 hours! It is very special to play sets like that so its good they last that long. Naturally I enjoy playng compact 1-3 hour sets ... but of course I'm looking forward to the 4 hours sets in Australia. You have the ability to create complex and evolving loops accompanied by space and austerity, without giving too much away where do you get your inspirations to create, record or manipulate these sounds? In my point of view you’re permanently caught in a crossfire of influences … That’s one of the most wonderful things in life. 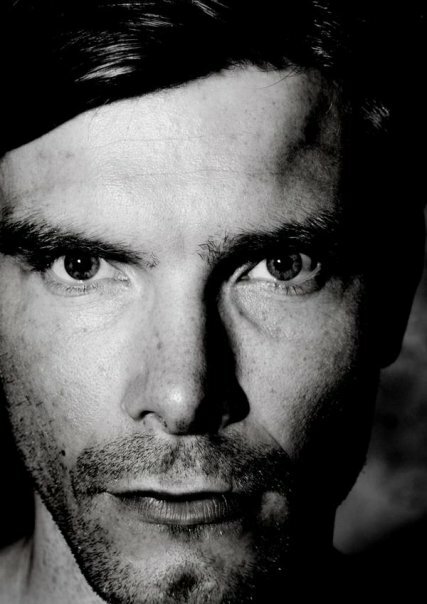 Tell us a bit about pre MDR, Ostgut and Berghain Dettmann. Where did you first begin playing out and going to see music. When I started to seriously get interested in music I listend to EBM, Gothic, Industrial, New Wave and Synth Pop. One special moment which I will never forget was my first time at Tresor, I was 14 years old. We arrived very early so it was almost empty and their was this guy in the middle of the dance floor, he was wearing an indian costume and the music was about 140 BPM, he was dancing like he was in a trance. What I really love in Techno is the fact that it’s not political. In a Techno club you can look like a banker or a punk it just doesn’t matter. This is what I learnt from going to Tresor that time. How important is Berghian to your sound as a DJ and Producer? Berghain/Berlin is personifying what “Techno” means to me : it’s futuristic, anarchic, uncompromising, unique and authentic. To bring all this together is one of my personal demands on my music. Ben Klock, Norman Nodge and yourself. Is there any truth in the rumour that being devilishly handsome is a perquisite to becoming a resident at Berghain? I spoke earlier in the year with Norman Nodge and he says you are guilty of reactivating him as a DJ. Can you tell us a bit about your relationship with Wincent Kunth, might this be something along the same lines? Norman and Wincent are good friends of mine for 18 years now so I know them quiet well. 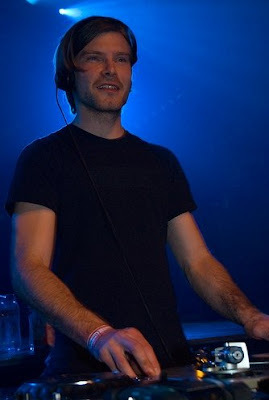 Regarding Norman, he was honestly the first guy who organized techno parties in 1991 in my home area, he was the one who actually really inspired my to start DJing and organising parties by myself, with him on the turntables. What’s next for Marcel on the remix and production front? Recently I have done two tracks for the "5 years of Ostgut Ton compilation" and one track for the "Modeselektion" selected by Modeselektor. Right now I'm working on a remix for James Ruskin and Emika. Can we expect to see some new MDR releases in the near future? Yes you can. There is a new Norman Nodge 12" hopefully coming this year and a new Wincent Kunth 12" next year. What never leaves your record bag? 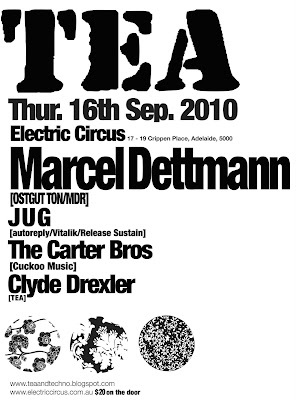 For all you Australian readers Marcel will be touring down under from the 16th-19th of September, kicking things off for TEA at Adelaide's at Electric Circus. "that transcends age and class, bourgeoisie techno if you will."